Israeli army forces reportedly ordered a Palestinian farmer in the Jordan Valley to evacuate his land on Tuesday, with forces saying they were going to raze the land. WAFA agency said, according to Ma’an, that Ahmad Assi Damra, from Hijlet al-Zour, east of Jericho, was ordered to evacuate his 25 dunam (six acre) plot of land, which is planted with palm trees, in order raze it. 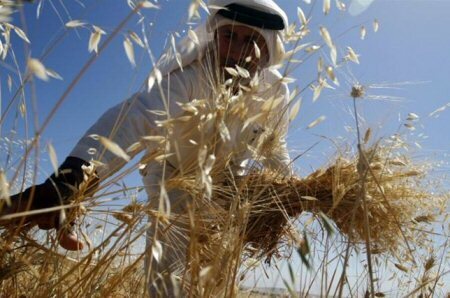 A similar order was reportedly made to another Palestinian farmer, Suleiman al-Zayed, who has planted his four dunam plot in the village of Nuweimeh, north of Jericho, with olive trees. The majority of the Jordan Valley is under full Israeli military control, despite being within the West Bank. Meanwhile, at least 44 percent of the total land in the Jordan Valley has been appropriated by Israeli forces, for military purposes and training exercises.